Merry Christmas Eve Friends! 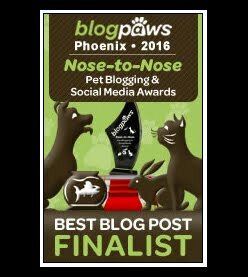 Although it's "Wordless Wednesday", I have much to say because I just finished a GRAND ADVENTURE without leaving the comforts of my home. 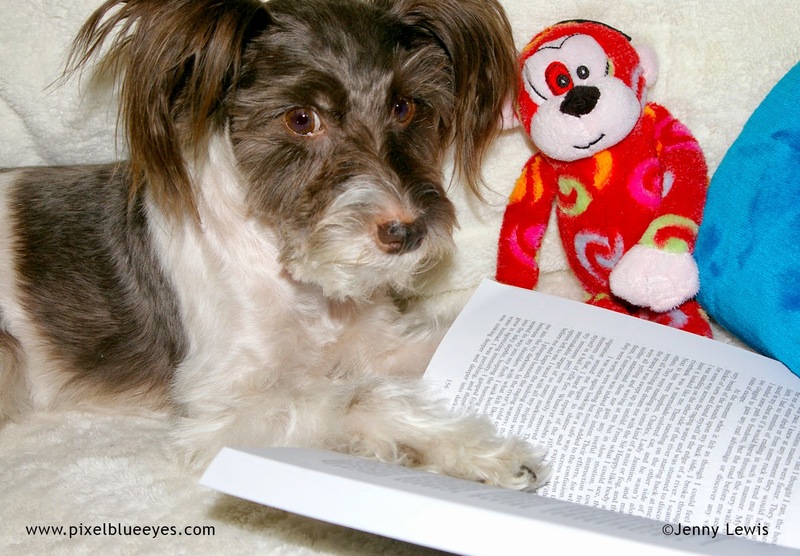 There is nothing quite like reading a good book. No matter who you are or what your circumstances might be, a good book with a wonderful storyline can take you on incredible adventures you never thought possible. A well written story can take your wildest dreams, your deepest longings or your most elaborate imaginings and weave them into a reality of characters, adventures, and places you can visit and experience any time you like. Such is the case with the novel by H.L. 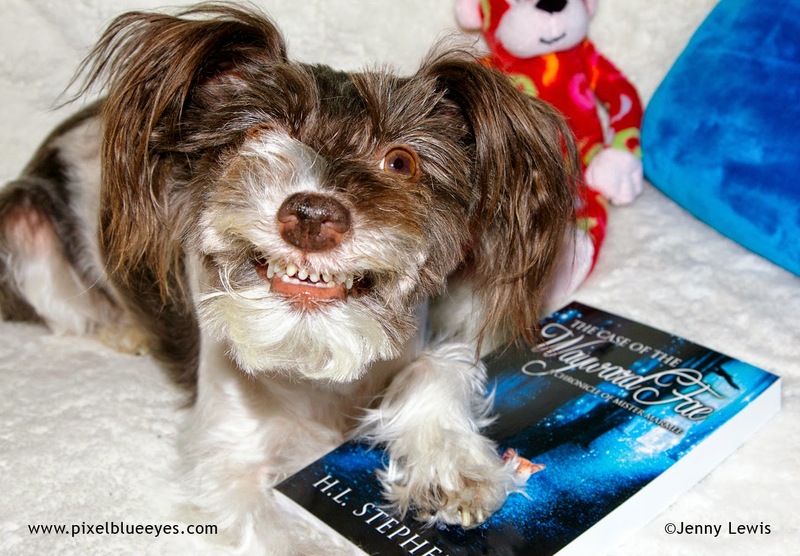 Stephens, "The Case of the Wayward Fae: A Chronicle of Mister Marmee". This is the second novel in the Mister Marmee series and let me tell you, it is even more amazing and incredible than the first adventure! 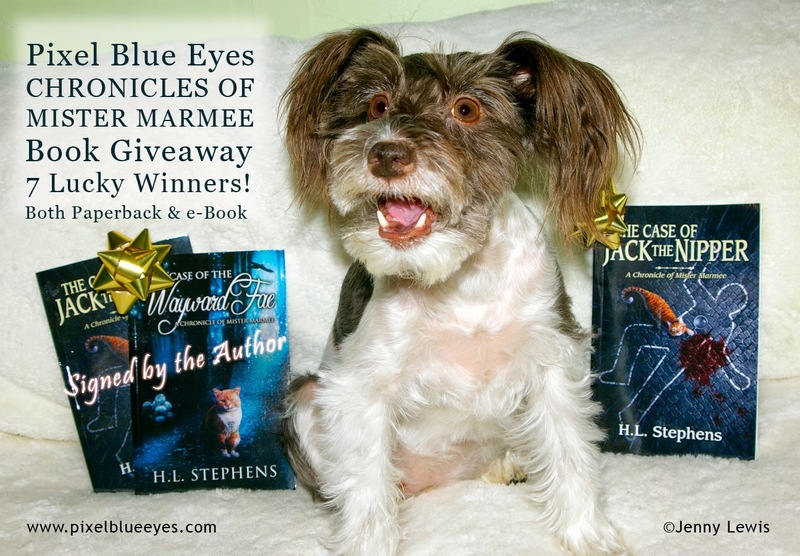 I reviewed the first novel, "The Case of Jack the Nipper: A Chronicle of Mister Marmee" back in August, 2013. That first book introduced the amazing characters of Mister Marmee, a brilliant marmalade colored cat who is the narrator of the series; Sir Happy Heart, the greatest canine detective London has ever seen; premiere veterinarian Dr. Stephen Hanover, Sir Happy's beloved human; and Lady Jasmine, a noble and beautiful pit bull friend of Mister Marmee and Sir Happy who escaped a horrid past to find forever love in the heart of a young boy. The first novel also introduced the endearing Charles and Amelia Hurst, and of course Inspector Farley of Scotland Yard, who calls upon Sir Happy's keen intellect to help solve a most heinous crime. In "The Case of the Wayward Fae", all these characters, plus a whole host of new and exciting friends and foes, are introduced. This second novel takes place in England's countryside, at Dawberry Manor, the country home of Dr. Hanover and Sir Happy. After the excitement, danger and adventures recounted in "The Case of Jack the Nipper" is closed, everyone is looking forward to a quiet time in the country. Life, after all, is slow and uneventful in the countryside, right? Not necessarily. After a series of strange and seemingly unconnected deaths and crimes occur in much too close succession in this sleepy country area, Mister Marmee and Sir Happy begin investigating as only they can! It doesn't take long before whispers of "fairy mischief" begin to spread among the country folk, adding an additional mystery that Sir Happy and Mister Marmee must dig through in order to find the truth. As Sir Happy starts fitting pieces together, he is wrongly accused of attacking a horrible man, and must go into hiding, leaving things up to Mister Marmee, who is not the master crime solver. It becomes a race against time, with Mister Marmee calling upon the help of a very special woman named Bitty Early, who lives deep in the forest where "the fairy folk" are thought to live. Sir Happy's life is in danger and only Marmee can save him, but...but... Oh, I can't say another word, you MUST read the book!! The characters that H.L. Stephens creates for you are like no other. I cannot express enough how complete and multi-dimensional they are. H.L. lets you into their emotions, their feelings, sharing their wit, their innermost fears, and you see, feel and experience exactly what they are experiencing! It is truly unbelievable. They are not just words on a page, they are your dearest friends, your most loathsome adversary and you wait with great anticipation to read what will happen next. Let me tell you, I was riveted with each turn of the page. 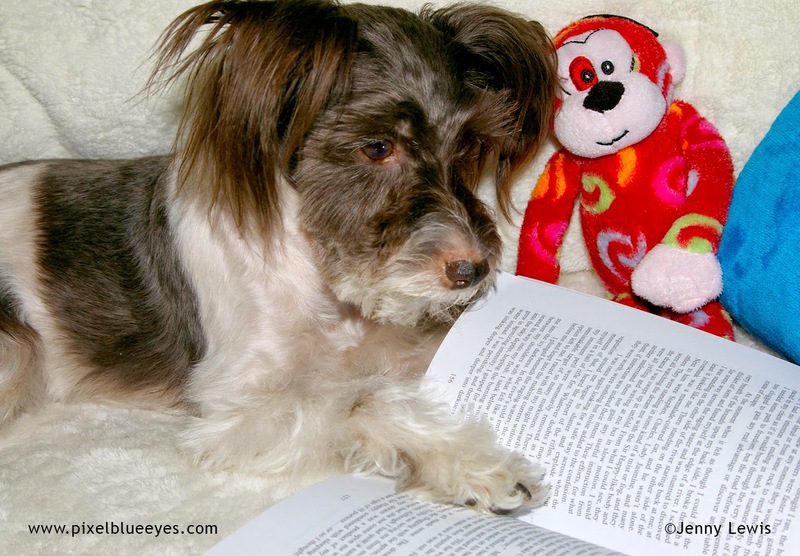 I made Mommy stay up until the wee hours of the morning reading it with me. 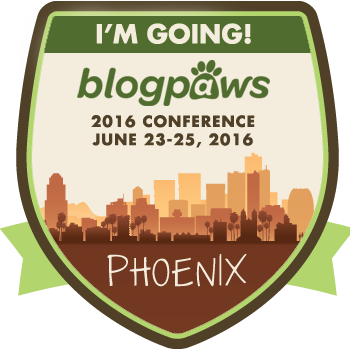 We could NOT put it down! We had to force ourselves to quit just to get sleep sometimes. It made us laugh with such humor our bellies ached, it made us cry to where we almost sobbed, and it always made us think. "With the solitude of darkness came the agony of a restless mind. My wearied body screamed for the comfort of slumber, but my mind would not comply with its demands. I was plagued by the events of the day, not just because a man had lost his life in my presence. It was horrific enough. What disturbed me and prevented me from escaping the reality of the daylight hours into the arms of my dreams was the feeling that the events as we knew them did not add together as I thought they should. Inconsistencies scratched at the back of my brain, but I was too drained mentally to put my paw upon their exact source. I was reluctant to agree with Sir Happy's assessment of Mowbry, but I was beginning to think my friend might be on to something in believing there was more to this incident than met the eye. I thought a nice midnight refreshment would help put my brain back in order and perhaps assist me in clearing my thoughts. After all, no truly gifted intellect could concentrate with a gurgling stomach nearby. I made my way to the cold store room to catch a smoked kipper or two. My grave mistake was forgetting that several of the villagers had laid the body of the dead man to rest there. What a sight greeted me when I eased opened the store room door!" Watch "The Case of the Wayward Fae: A Chronicle of Mister Marmee" Book trailer on YouTube. H.L. 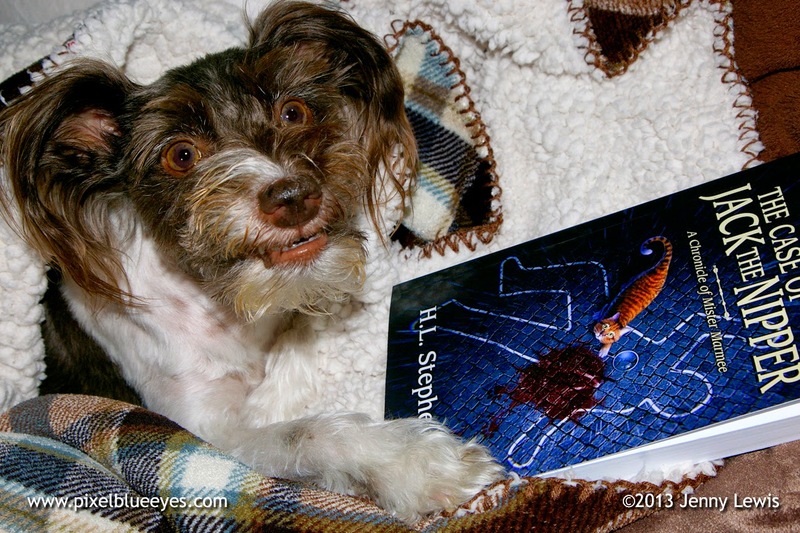 Stephens understands in every possible way, the incredibly strong and deep connection between animals and people. She knows full well that dogs and cats, as well as most all the animal kingdom, can understand humans perfectly. In fact, in the Chronicles of Mister Marmee, it is the humans who are lacking in their ability to fully understand the animals and their extremely high functioning brilliance. These are not just talking dogs and cats like a child's cartoon. Oh no...this is a well structured, classically written, high level vocabulary masterpiece. A tapestry of brilliant characters with as many facets to their characters as a diamond has on a ring. 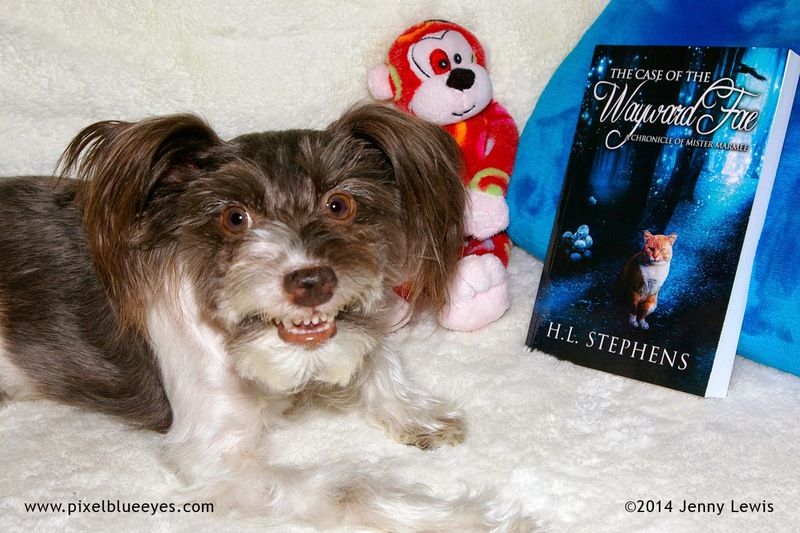 You simply will not be able to help yourself once you start reading The Case of the Wayward Fae. It's just that good! You will finish reading this book with a longing for still more. This story makes you feel that you are right in the middle of the events, taking part if you will. Not only does each character come alive within the words of each page, but each true and noble character becomes a treasured friend, a cherished confidant and beloved part of your life. No matter who you are, whether you love history, animals, mystery, adventure, fairies, Sherlock Holmes style "who done it" novels or just are intrigued by the underdog concept of animals solving crimes, you are going to LOVE THIS BOOK. It is filled with laughter, gripping "edge of your seat" adventure, poignant moments that will make your eyes water, deep friendship that will make you wish you were Mister Marmee or Sir Happy yourself, and an adventure unlike any other you've read or heard. So go run out and get the book for your friends and family members. You can order H.L. Stephens "The Case of the Wayward Fae: A Chronicle of Mister Marmee" at Amazon, Barnes and Noble, Google Play store, Smashwords, and many other online book stores. You can learn a bit more about H.L. 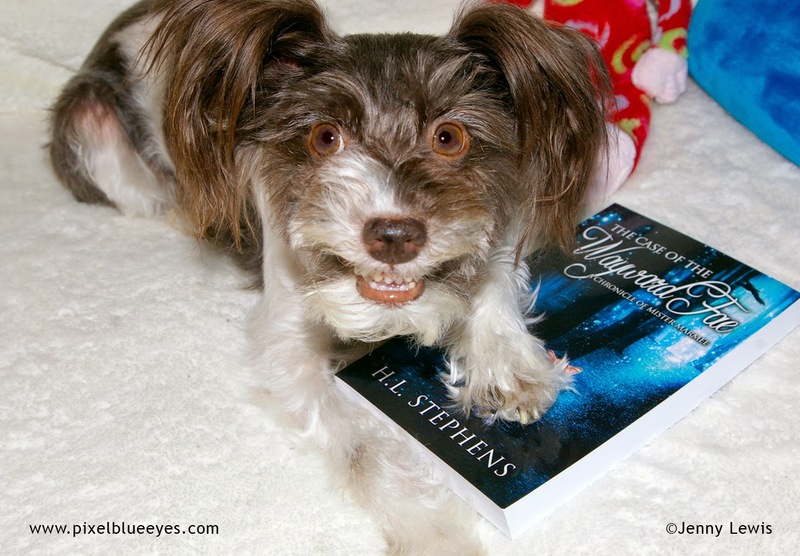 Stephens by reading her blog or visiting her Facebook page. 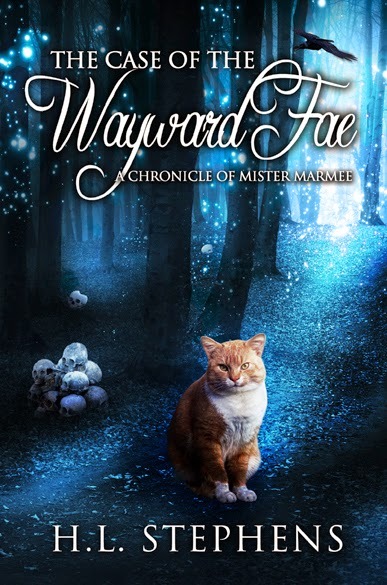 Pixel gives "The Case of the Wayward Fae: A Chronicle of Mister Marmee" 2 Paws UP! Safe and enjoyable to read for ages 8 - 108! To enter, simply use the rafflecopter entry tool below. It is quite simple. Just click on each question or instruction such as "Enter your name", "Leave a comment" etc, and further instructions will be provided for you. Each item gives you a certain number of chances to win. If you do ALL the items, you get over a dozen chances to win! Hurry friends, the contest ends at 11:59pm EST January 5th, 2015. December 25th and runs through January 5th.